1. 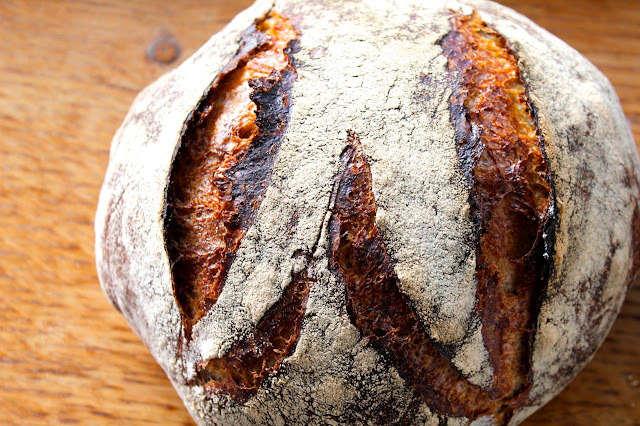 Build your levain and in a separate bowl mix the flours and water to a shaggy mass. Put the dough in the fridge and leave the levain out for 8-12 hours, or however long it takes your levain to rise and just start to fall. 2. Mix the now active levain and salt into the dough using the "fold in the bowl" method. 3. Wait 30 minutes then do two more fold in a bowls at 30 minute intervals. 4. Do two "stretch and folds" on a bench or in your hands at 30 minute intervals. 5. Let the dough rest at room temp until it has gained about a third in size, about one more hour. 6. Put in the fridge for 18 to 24 hours. 7. Turn the dough out onto a lightly flour surface and pre shape into a round. 8. After one hour, shape into a boule and place seam side up in a floured banneton for about 45 minutes or until it passes the poke test. Preheat a cast iron pot in a preheated oven at 480 for 30 minutes. 9. Turn the dough out onto a strip of parchment paper, score and place in cast iron pot with the lid for 30 minutes. 10. Remove the lid and bake for another 10 minutes or it has an internal temperature of 210 fahrenheit. 11. Turn the oven off, use the parchment paper to remove the boule from the pot and place directly on a rack in the oven with the door ajar for another 15 minutes. 12. Cool completely before slicing. 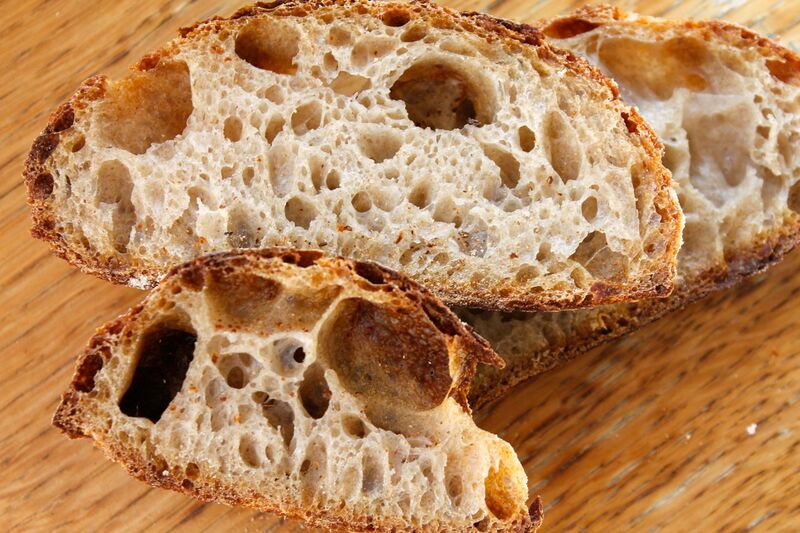 Awesome full wheaty flavor with a moist crumb and crunchy crust. 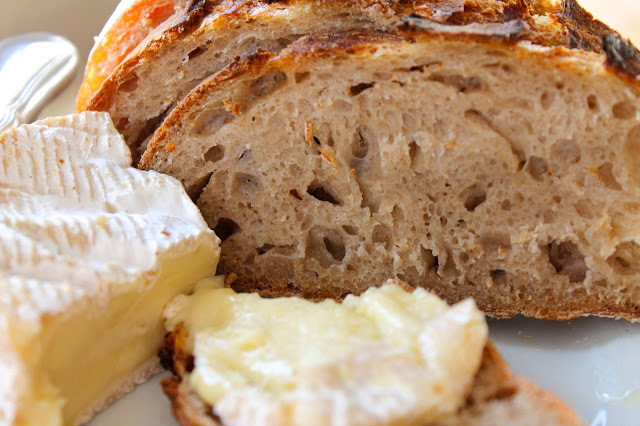 Doesn't hurt to slather some ripe camembert all over it. Win. Sending this to Susan at YeastSpotting. MC from the wonderful bread blog Farine lost her six year old grandson in today's mass shooting in Connecticut. I have no words to adequately express the sorrow I feel in the face of this tragedy and I cannot imagine what it would feel like to have my children taken from me in this way. My prayers are with her and everyone else affected on this terrible day. If you would like to express condolences for MC you can do it here. Sorry, but the Ruchmehlbrot (aka Baslerbrot) you can buy in every bakery here in Basle is normally made from sourdough. Or sourdough and a tiny amount of yeast. Ruchbrot from the big supermarkets are made without sourdough, but I wouldn't buy them, if I want a "good bread". You can find white spelt flour in every larger Migros, Coop and in most of the Bio-Shops in town. In the Migros you can also find flour made from an ancient kind of spelt, called UrDinkel. Little bit difficult to bake with, but the nutty flavour is terrific. Holy smokes, that bread looks good! 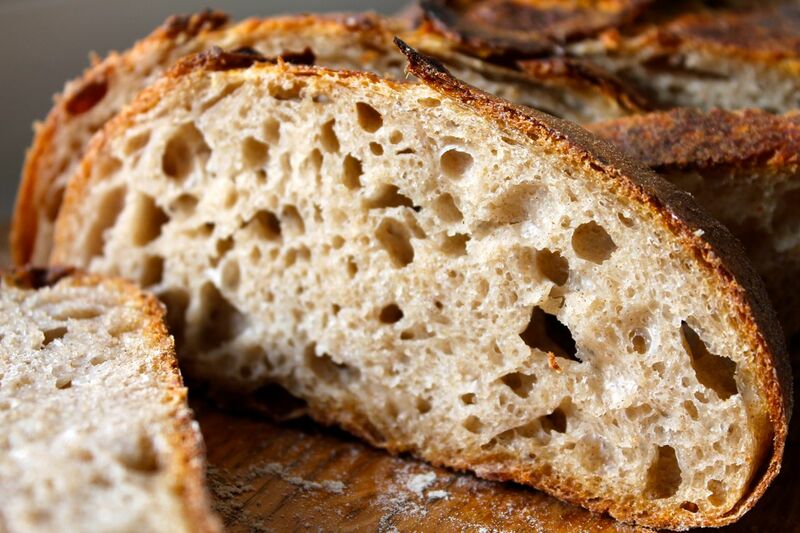 I'm gonna try that recipe out right away, since I'm lucky enough to live in Switzerland and get my hands on Ruchmehl anytime I want..
Have you figured out what American flour (or mix of flours) would yield a similar loaf to the one on this page? My wife and I went on a 30th anniversary tour in Europe and fell most in love with the brown loaves (like yours) in Switzerland. I thought I would try to make it, but I don't know what flour to buy. Searching around on the internet has not really given me much guidance. Thanks for any help you can offer!